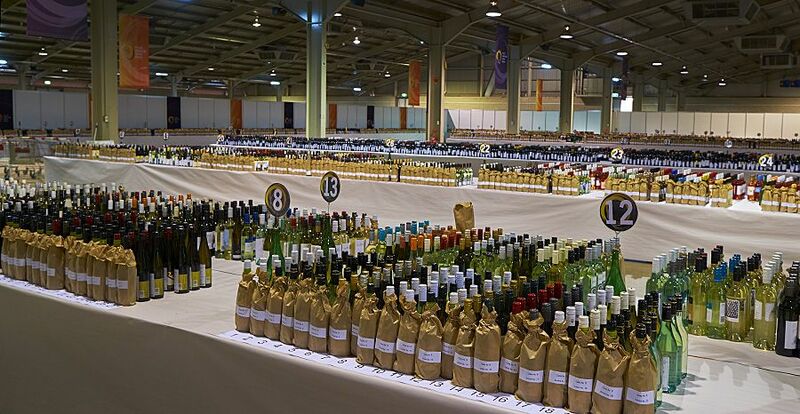 The Royal Adelaide Wine Show is one of the oldest wine shows in Australia, the 140th was judged recently. Andrew Hardy is committee chair and from over the ditch Michael Brajkovich the Chair of Judges. They are supported by six panel chairs, twelve judges including International judge Yoshiji Sato plus ten associate judges. In additon there is the committee, many support staff and volunteers, especially the glass washers. 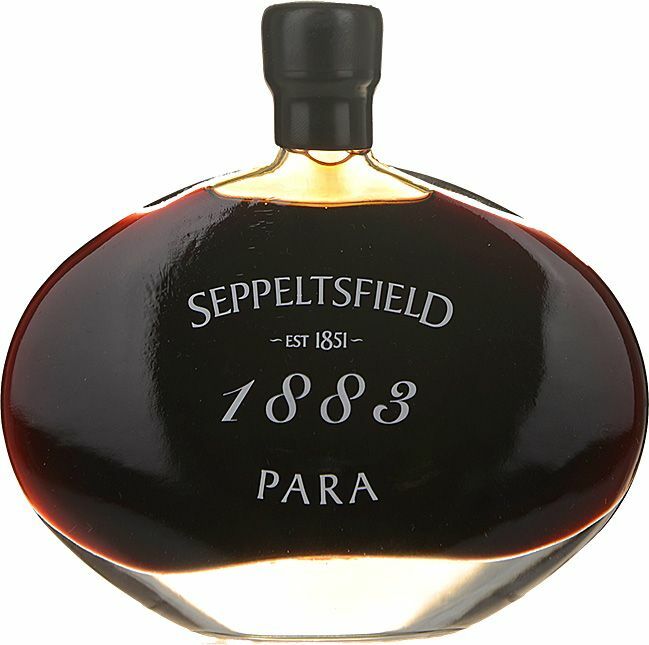 Seppeltsfield 1883 ‘PARA’ Tawny Port. As well as being a great promtional tool for the winners, the show is an important educational experience for the judges. Charlie Seppelt was a panel chair this year. The name Seppelt is an important name in the Australian wine trade and Charlie’s story an intersting one. 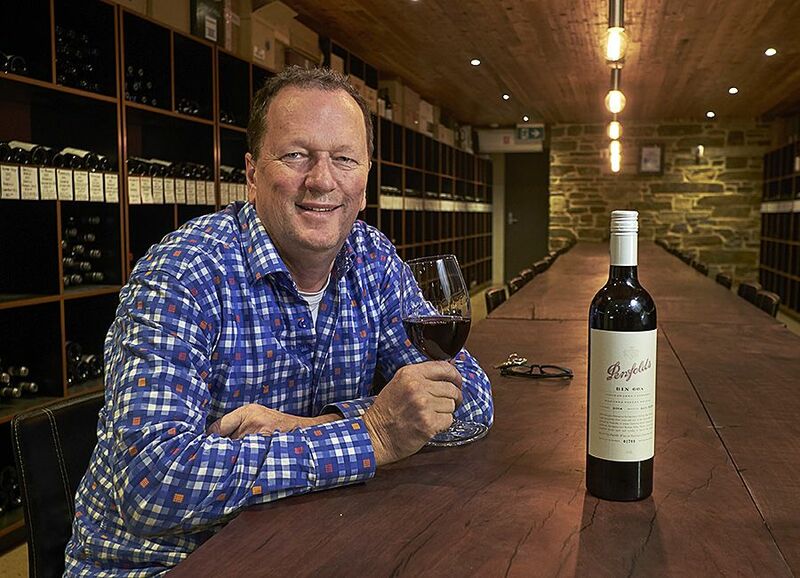 Being a Seppelt, was wine your destiny ? I was only three or four years old when the company was sold, so I don’t really have any emotional attachment other than sharing the name. However the family story is a great one, the biggest wine company in the country in the early 19th century. The courage by Benno to lay down 500 litres of Tawny Port with the idea of releasing it 100 years later is a remarkable feat. I do recall the first time Mum and Dad let all of us try the 1878…I think I was buzzing round the house faster than I would normally have been on the Seppelts Raspberry cordial. 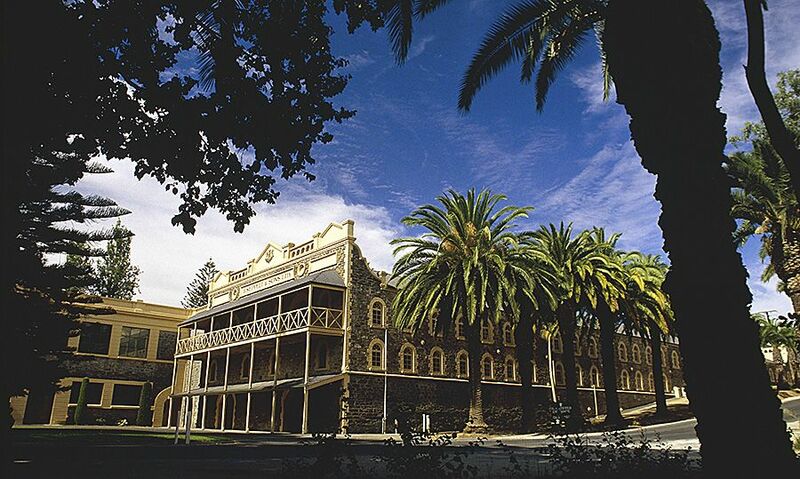 The historic Seppeltsfeild Cellars, Barossa Valley : Photo © Milton Wordley. In 1999, straight out of school I took a year off and went labouring as a general farmhand on Uncle Karl’s (KJ) Barossa Ranges vineyard. This was a fond time, earning a little bit of pocket money, out of home and working with my cousin Peter. Labouring was good, you worked hard and earned your after work drink. 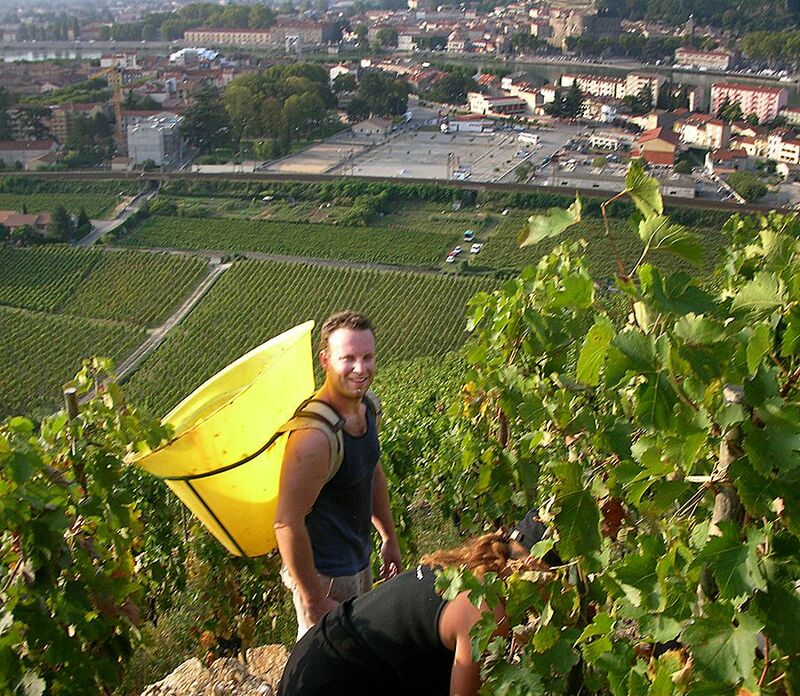 Charlie picking picking Les Bessards in the Rhone one morning. The hill is steep…especially with and extra 50-60kgs of fruit on your back. Then the following year I started an Aquaculture degree at Flinders Uni….wasn’t sure about that so went back to KJ’s. I’m sure Dad rang when I was driving back up and told him to flog me, so I got given all the really tough duties. I still loved it and asked KJ about doing vintage somewhere. He gave me a list of names and I ended up at d’Arenberg. It got me really hooked instantly, d’Arrys through me into everything from receival, pressing, red ferment management, digging ferments…barreling down, you name it. Where did you go from there, what’s your current role ? 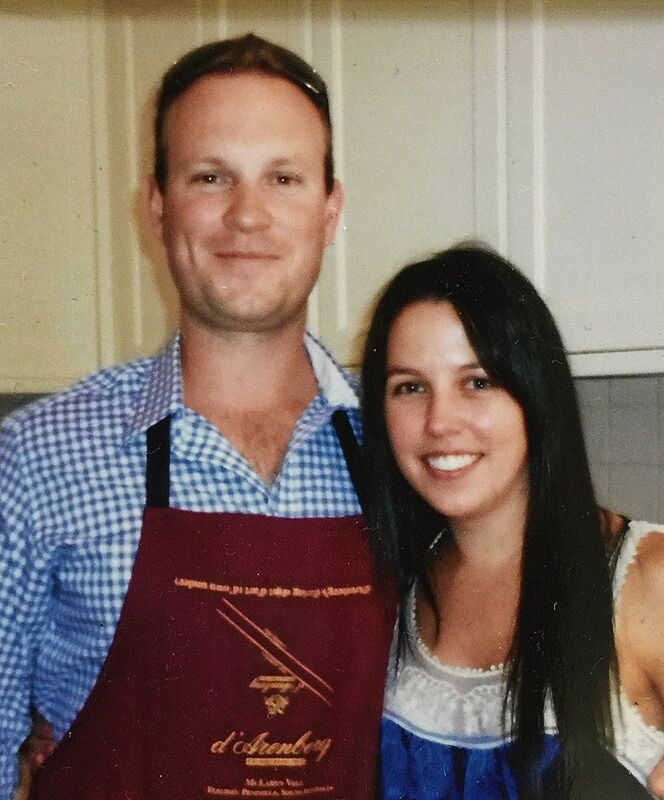 After the 2001 vintage at d’Arenberg I worked at Chateau Giscours in Bordeaux thanks to Justin McNamee, then studied oenology at the University of Adelaide. From here I did various vintages at Torbreck and Wolf Blass in the Barossa, Brokenwood in the Hunter Valley, Domaine Jean-Louis Chave in the Rhône, Lewis Cellars in Napa Valley, Te Mata Estate & Villa Maria New Zealand and Domaine Dublere in Burgundy before joining Hardys fulltime in 2010. Late 2012 I received a call from Pete Fraser offering me the opportunity to work with the Hickinbotham Vineyard. I knew how awesome that fruit was through my Hardy’s connections and jumped at it. Right now I’m consulting locally as I recently resigned from Jackson Family Wines. It was almost five years there, another terrific part of my life where I learnt a lot from Pete and Chris Carpenter. My wife Skye and I would like to start making some of our own wine, which I couldn’t do as an employee of Jackson Family wine. 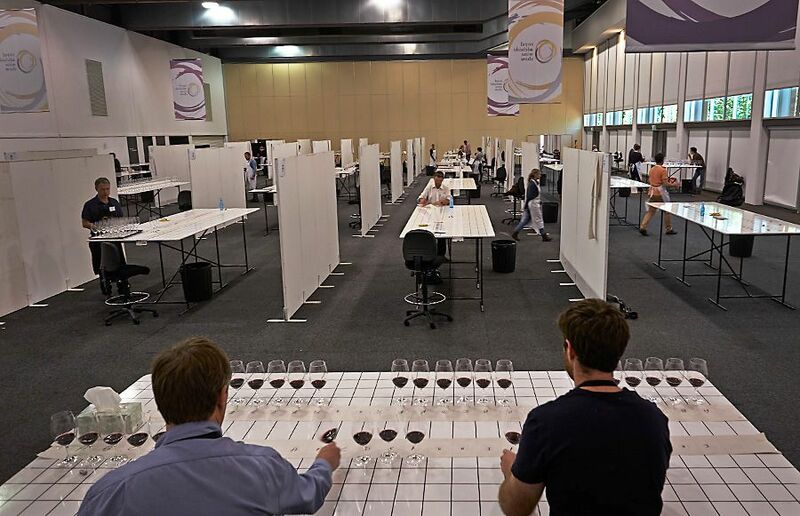 This year at the Adelaide Wine Show you are a ‘Panel Chair’, what does that mean ? The judging panel is normally five sometimes six. So there is the Panel chair, two sometimes three judges and two associates. We are assigned a day’s worth of wines in the morning and judging commences after a quick debrief about what to look for from each class. As a Panel Chair, the role is designed to be the go-to person/crowd controller of your judges and associates for any and all questions. You need to make sure they feel comfortable coming to you for guidance and hopefully you judge the class well enough yourself to pull back some great examples from the class. Charlie’s Day one judging panel Phil Lehmann, Jack Glover and Associates Jannine Rickards and Marie Clay discuss one of the categories : Photo © Milton Wordley. I think everyone will get more out of it if their scores are considered, be they an Associate or Judge. I’m happy to re-look at everyone’s callbacks…. given its not 10 from each judge, that would be a long day ! What is the difference in associates, the judges and the Panel Chair ? The way I look at it, as an associate your scores are no less important than mine as the panel chair or the judges. Everyone’s scores are accounted for, but as an associate it’s more like a learning position. Historically associates were to be seen but not heard, things have changed a bit. I came into judging in the era that as an associate I didn’t get to call out my scores, just plodded along ranking with the more senior judges. International Judge Yoshiji Sato : Photo © Milton Wordley. I didn’t mind, I knew my place, it was the done thing. However in the last decade I had Panel Chairs that would take your scores and sometimes…you got a callback ! If said callback then went on to get a Gold, you thought ‘Yes I’m getting this’ a quick shot over the bow usually ensured to remind you not to get too ahead of yourself. Simply, Associates are usually new to judging, in their first few years and eager to learn. 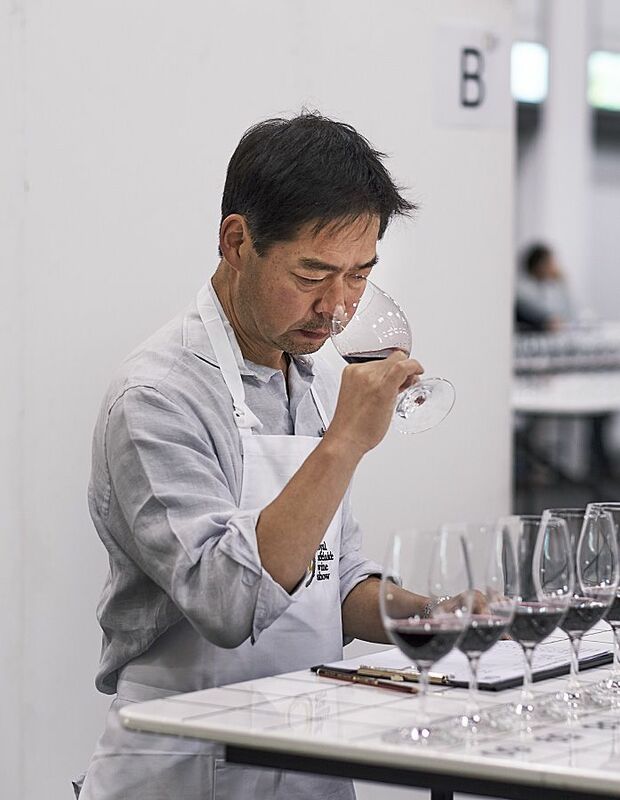 Judges are the workhorses; they bring a good number of years in experience, have potentially done some form of judging training and can be relied upon to bring the right wines forward. The Panel Chair is typically one of the more experienced people at the show, multiple years of experience in show judging circuit and or tasting for their field of work. “Im not sure how it was all planned out but the judging gods were very kind to me this year ! 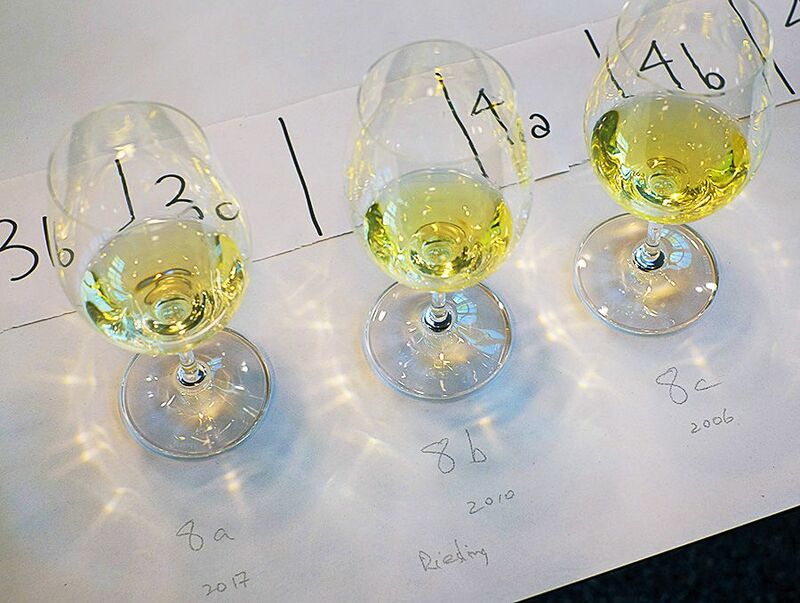 We managed to see the 2015 and older Semillon class, always a pleasure to judge, especially when there’s wines in there as far back as 2005 ! Charlie on day one of judging : Photo © Milton Wordley. Another pleasure and terrific way to break 3 large classes of Shiraz on Monday was the 2017 Riesling class, split over a few panels. Its a cheeky way of deciding on a couple wines to stock up on for Summer and again did not disappoint. The strength of Grenache was terrific, we got to see the 2015’s and older, a beautiful display of styles in there plus did the 2016 Grenache dominant blends…some devilishly moorish wines in there! How many wines in the Show and how long does the judging take ? Four days, Sunday to Wednesday afternoon. 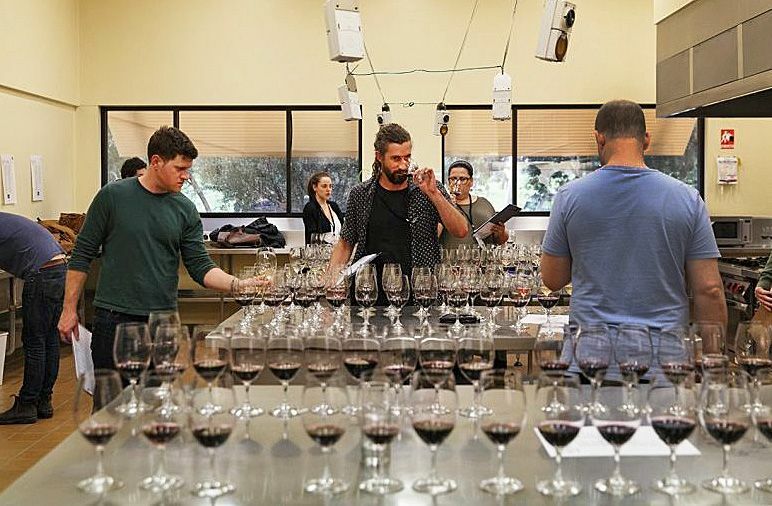 This year there were 2600 entries from 350 wineries in 70 classes and six judging panels. 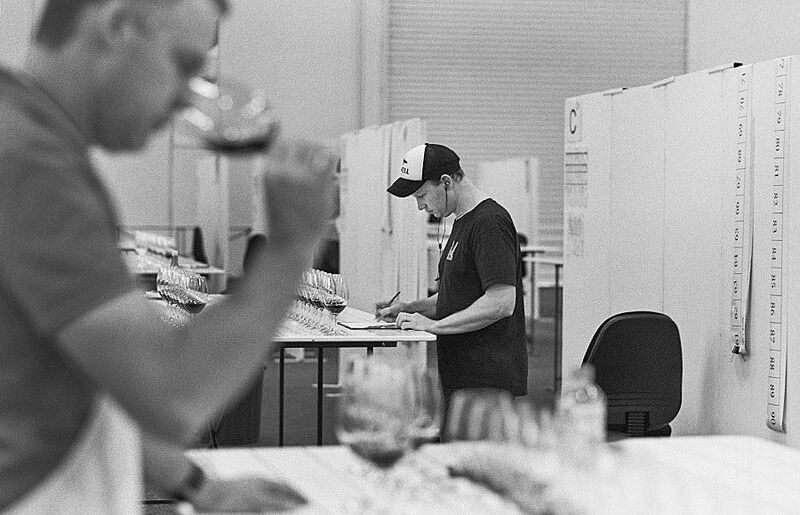 Some of the over 2600 entries from 350 wineries in 70 classes : Photo © Milton Wordley. We each handle around 110 to 120 wines a day. It’s a pretty solid four days. As Panel Chair I can where possible, decide what order we judge. We might start with a sparkling or aromatic white class, get through that then move onto something else. I think one of the worst things you can do is all whites in the morning, say 60 or 70 whites before lunch and then 50 or so reds to finish the day. 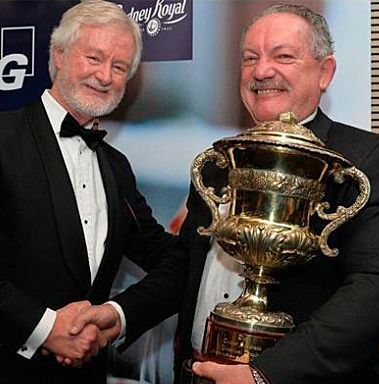 Rob Hirst presents Ed Carr the Sydney Wine Show trophy for the wine of the show. I like to mix it up where possible. I quite often sneak the biggest red class in before lunch. and start after lunch with some whites, then move on to more Reds at the end of the day. Favourite wine styles or category to judge ? My favourite is probably four years and older recently ‘tiraged’ sparkling white. You get to see people’s best examples of sparkling, the wines they saw with a future. It can be a bit one sided because it’s often a bit like the Ed Carr show…. but gee his wines are good. Credit to the system for now allowing Sparkling to be included in the ‘Wine of Show’ section, it didn’t happen a few years ago. At the National Wine Show in Canberra a few years ago The House of Arras 2006 Blanc de Blanc sparkling was wine of show. It’s progressed the other shows and I think it’s great. One of the strengths of the system, is that if I do get a sparkling class to panel chair, I can call on Kate Laurie’s ( Deviation Road) sparkling wine experience to give me an opinion. Kate’s also a panel chair this year. Its the same as I would with Andrew Thomas if I get a Semillon class. I’ll draw on his knowledge of Semillon and ask him to come over and have quick work through the wines, just as a backup. It’s important to have experienced people like Thommo and Ian Hongell of Torbreck around. 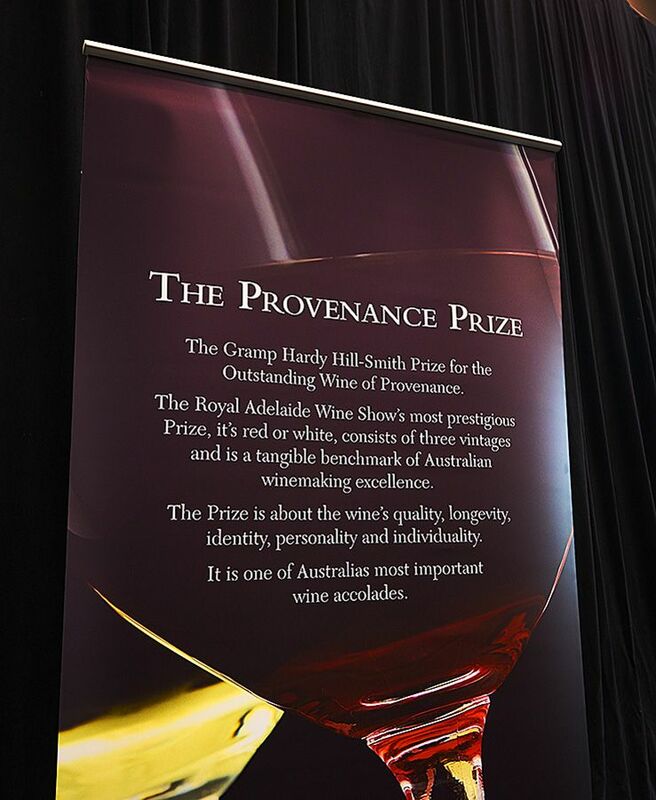 I’d love to judge ‘The Provenance Prize’ one day. If you are a producer it’s a great award to get, it gives more credit to whoever drove or made those wines as well as to the people who grew the fruit. It’s a consistency of greatness that gives the company and the people a great sense of pride. The trouble is they don’t let the normal riff-raff in to judge it. They bring in specialist judges to judge that one category. This year it’s Ian Mckenzie, Andrew Calliard and Pam Dunsford. ‘The Provenance Prize’ room with judges Pam Dunsford, Ian McKenzie and Andrew Calliard : Photo © Milton Wordley. 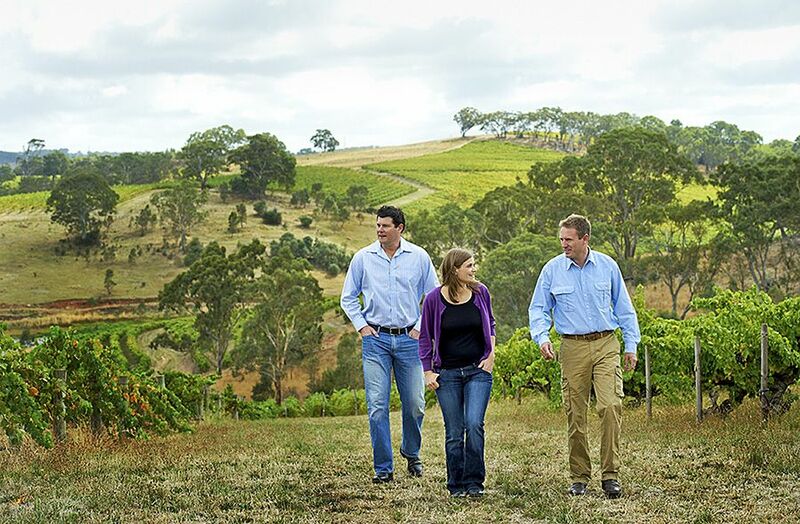 Why do you think the show circuit is important to the Australian wine trade ? It’s a much-debated thing now. An entry in the Provinance class: three vintages of Riesling : Photo © Milton Wordley. A lot of people don’t believe in it, they just think it’s all these people getting together having a good time, drinking all this flash booze…. that it doesn’t relate to what they are making or to the consumer. Influences have changed considerably in terms of wines styles these days. Drinkability is a must and the days of sipping back on a wine closer to Vintage Port in alcohol are long gone. It’s very expensive to be involved, many companies are very selective about the shows they enter. Often it needs to relate to their market. For example if you’re a South Australia producer and you win at the Perth Wine show, it’s a great result, but probably more relevant if you’re a Western Australian producer. Many enter Melbourne because if you win a Jimmy Watson it’s huge and great for business. The Best’s 2011 ‘Bin 1′ which won the Jimmy Watson in 2012 : Photo © Milton Wordley. I feel it’s also very important for wine education, as an associate, it’s like being mentored. The dinners they organise are just as important, as a group we get to look at wines we would not normally see and I’m talking global benchmarks. It gets you out of your own tasting bench and gives you a chance to look at things with new eyes. Selfishly from my perspective it’s a calibrating exercise, it draws me away from my own cellar palate to seeing other wines, which leads me to consider how they were made and if I could apply this to my work. This sort of education is what I’m after. Other shows you have judged ? The first one I judged was as a steward and an associate at Rutherglen in 2004 while I was at Adelaide Uni, I remember a brilliant Master Class on Fortifieds. 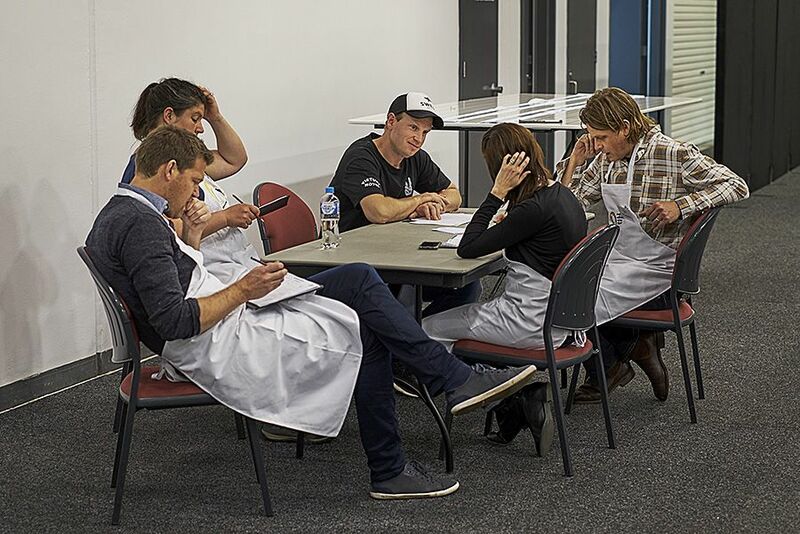 Hor 100 judging in a commercial kitchen with no white aprons and plenty of food and music… Image supplied by Adelaide review . I’ve judged at quite a few other shows since then. One of the most interesting is the Hot 100, it’s very different, there’s no option to wear a white lab coat (shock/horror!). It’s judged in a commercial kitchen down at Regency Tafe, there’s music all day. Food is available whenever you want it and far less wines to judge daily. You don’t know variety or vintage…. you don’t have anything to go on, you just know they are classed into groups of styles, could be ’Power and Presence’ for reds. I have chaired a panel a few times. 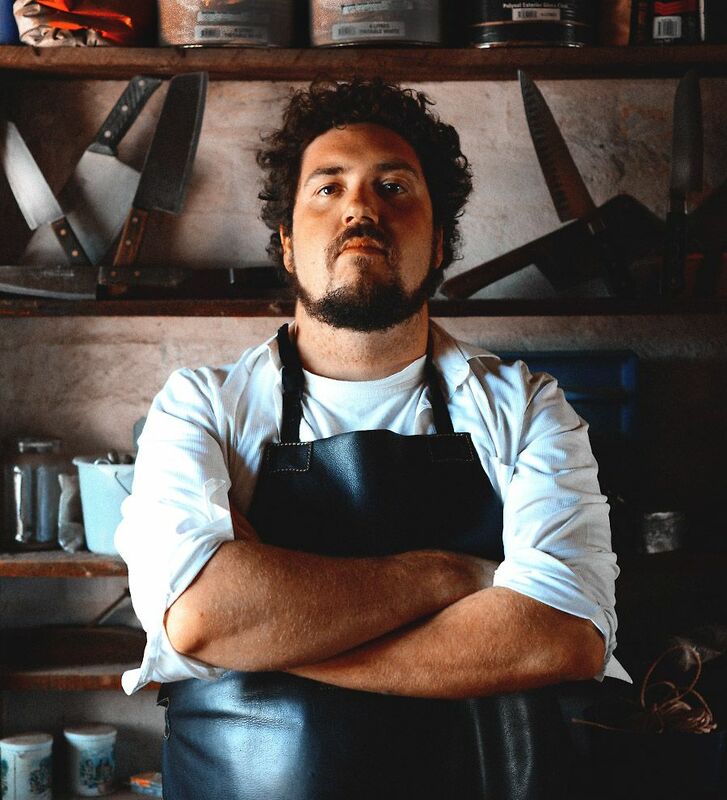 I had Duncan from Africola in one of the panels. Duncan was giving his thoughts on some amazing wines, he’d give you these different ideas on describing wines, unique ingredients he uses in his cooking as flavour descriptors…it was very cool to listen to as he would simply nail things that some judges can’t describe in years of judging! I reckon the Hot 100 was awesome, a very different approach to judging but a worthy one. Style of wine you like to make ? It’s a wine that’s reflective of place, the term used often nowadays, it wasn’t a term used so much 10 years ago. 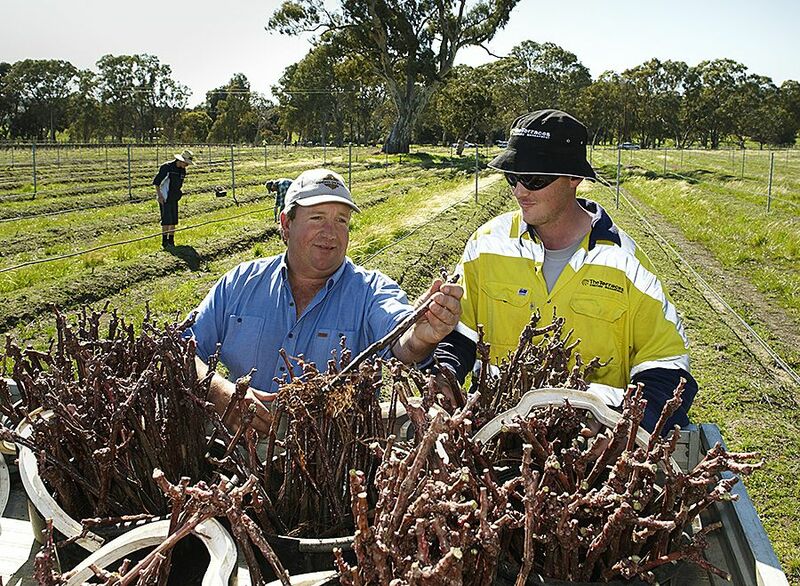 It probably was for some people like say Wendouree, who have been producing from one site for a long time. Wendouree Cellars Tony Brady and Dr Bob DeBellevue M.D take walk between Shiraz Block 47 on the left and Cabernet Sauvignon Block 49 in the ‘Eastern Vineyard’. : Photo © Milton Wordley. This is one of the greatest lines about wine as it puts full belief and purpose into the vineyard, the site where you source your fruit from. There were three things that Chris and I discussed as core ideas for Clarendon. It was varietal distinction, vintage definition and site. All of the wines must reflect these three things as their core elements. What’s so special about the Hickinbotham vineyard site ? I have known the vineyard for quite a while. What makes it unique is it doesn’t just produce one variety well, it produces a lot ! 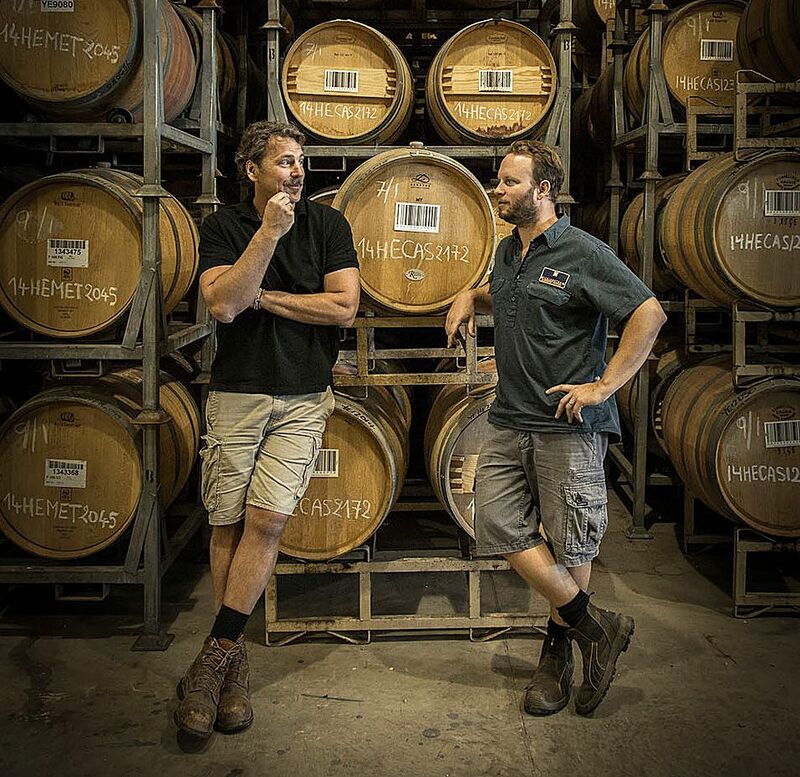 Historically the Cabernet and Shiraz have had the limelight but with Chris’s influence together with Michael Lane (Chief of Viticulture) the Merlot has seen the greatest improvement across the site. 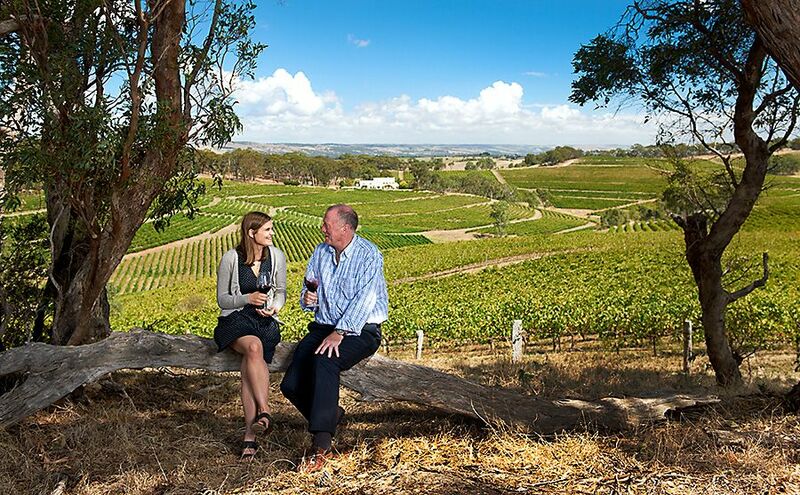 Yangarra Chief of Viticulture Michael Lane : Photo © Milton Wordley. There’s been plantings of Malbec, Cabernet Franc and Petit Verdot which are all showing promise and we recently got back the 1962 planted Grenache which shows the site’s real character so purely when you taste the wine. Hickinbotham is cooler, higher than most vineyards in the district and as a result has a much cooler fruit profile, less broad shouldered, tighter and more refined…it’s a truly unique site. It’s only getting better with Mike and Dan Mullins looking after it. I always loved the Cabernet from the site as well. Its DNA is hard to miss when you taste wines that have sourced from the site previously, Wirra Wirra Angelus & Reynella for example. Due to the site climate and the fact that a lot of the Cabernet is dry grown it grows unusually thick skins which translate to loads of colour, flavour and tannin. 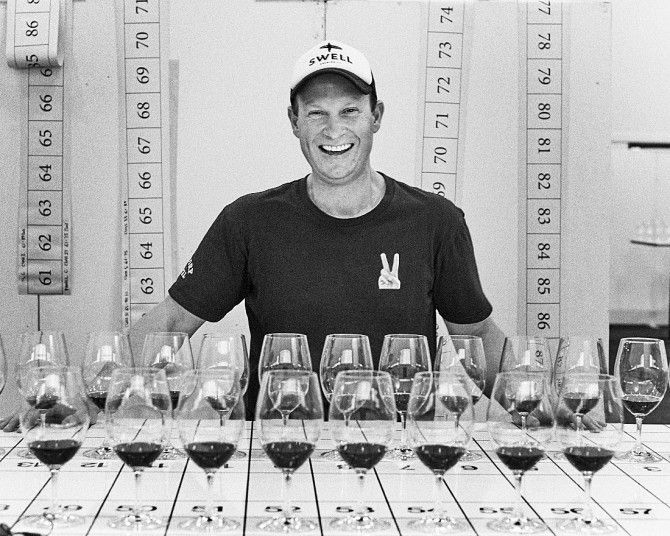 Chris Carpenter is the tannin master, it really sets that Cabernet apart from anything in the country. 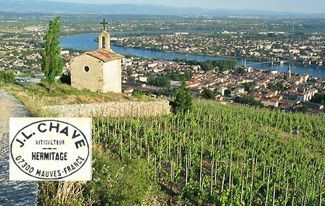 I loved the six months I spent at ‘Domaine Jean Louis Chave’ in the Rhone, thanks to Dave Powell. The same family have been making wine in the same area since 1481, they are pretty much the producer of Hermitage. The ‘Chave’ experience, was properly the most career defining influence I’ve had. That was in 2006, I’ve tried to get back every year since, maybe next year. 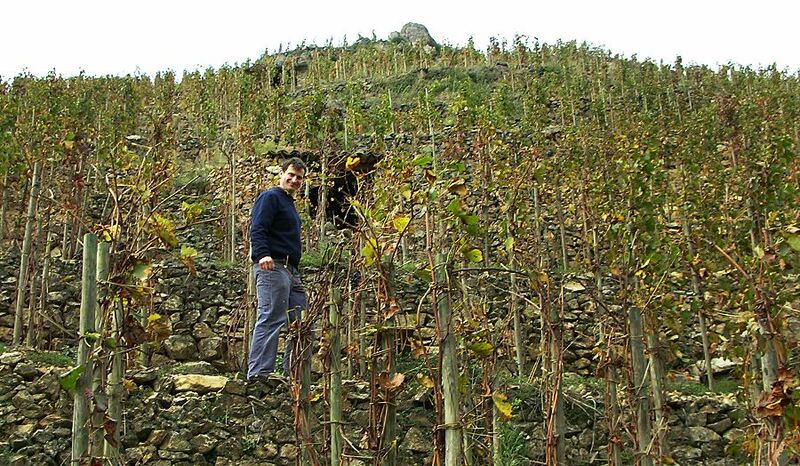 Jean-Louis Chave, current family custodian of Domaine Jean Louis Chave, in the Lemps vineyard in its early rebuilding stage in St Joseph. The Len Evans tutorial in 2013 was about as good as it ever gets. It’s a pretty intense week. Our group had Michael Hill Smith, Iian Riggs, Ian McKenzie, Gary Steel and of course Uncle James Halliday, taking us. It was brilliant, pretty much every moment was an ‘ears prick up’ moment. It was such an awesome week…gushing now thinking of it. Len Evans Tutorial glasses : Images supplied. Apply, apply, apply until you get in if you want a real experience! We now try to catch up as a group from the tute somewhere in the country for lunch or dinner annually. Everybody brings that special bottle. A glass of wine I had one night at the Victory. Doug Govan in the Victory Hotel cellar with one of the Penfolds 2004 Bin 60A he still has : Photo © Milton Wordley. I think that wine is one the reasons behind the ‘The Peake’. When they were planning the Hickinbotham wines Peter Fraser bought a very special and rare bottle of wine from Doug to share with Chris Carpenter. I was having dinner with Dougie at the Victory that night and they sent a glass over to our table. Neither Chris or I knew what it was, my initial thought was smells like a Bordeaux, then we tasted it and both thought it’s got a bit too much weight… maybe its an Aussie wine, neither of us picked it as a Penfold’s ! I think still to this day it’s the best Australian red wine I have had from that decade by a very clear margin. 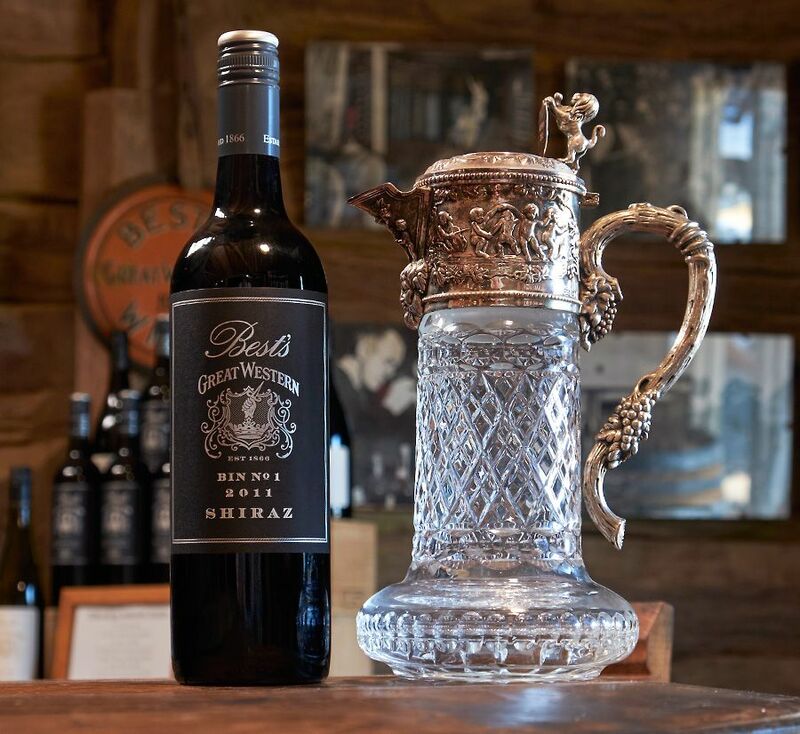 It was a glass of the 2004 Penfolds Bin 60A , a blend of Coonawarra Cabernet and Barossa Kalimna Shiraz. I reckon if I wasn’t going to have a glass of red for six months and had a thousand bucks to buy one bottle of Aussie wine, that’s the one I’d buy. Charlie and his wife Skye. Skye & I have dreamed about making some of our own wine, the key is to find the right fruit. There are some strong points in the district, some areas I don’t think have been explored yet that I’m having a look at. If we do make a Shiraz it will have to be the right block, that’s heavily on my radar. We definitely want to make a Grenache too, and once again we need the fruit from the right areas. We really are focused on getting the right resource, if we can’t get it we won’t do it immediately. After working at Hardys with a few Portuguese varieties, I’m interested in doing some more with Tinta Mole, Touriga and Tinto CÃO . In 2010 at Hardys, we made an awesome wine by default from left over Tinta Mole/Touriga and Tinta Cao fruit that was overflow from filling other ferments of pure expressions of each. 2010 was such a great vintage, we bottled a couple of hundred magnums for the cellar and called it Tinto Tara(thanks Nic Bowen ! )as a play on words with Tintara. It was pressed off to old larger format oak for about 10months and bottled from there. Lovely food friendly, drinking wine, had richness without being too heavy and lively spice and aromatics from these traditional Port grown varieties, wasn’t shy on tannin either ! I’ve spoken to Steve Pannell a couple of times, asking him how he started. I get it, it’s the wine industry, I understand all that. I know it can take forever to get going, but you need to roll the dice and play your hand eventually so here we go ! Special thanks to Doug Govan for the loan of his cellar at the Victory Hotel for the interview.